Did you know that ECC Compton Center's Facebook page has reached 1,000 "likes" and gets about 30 new "likes" per month? If you haven't already, head on over to the homepage of the Compton Center website where you will find links to our Facebook page and Twitter feed. Join in on the conversation and add our social media sites to the favorites list on your computer! You may send your ideas for postings to Ann Garten, Director of Community Relations, El Camino College, at agarten@elcamino.edu. We want to keep you informed of the news at the Compton Center. We also want to hear from you. We know there is no shortage of good news happening – so keep us in the loop. Know of a student who won a scholarship? a professor who just published an article or a book or received an award? a staff member honored by a professional organization? someone at the Center who has been recognized for work in the community? Help us spread the good news! Please e-mail your news items and postings for Facebook and Twitter to Ann Garten, Community Relations Director, at agarten@elcamino.edu. Welcome to spring semester 2013! I hope you are all refreshed from the holiday break and ready to begin the second half of another successful academic year. ECC Compton Center students will be preparing to graduate and transfer, as well as earn certificates, and we are here to help them every step of the way. In my December 2012 Center News message, I provided a recap from the recent Accreditation Forum. I now have an important update about the process to accreditation. Many of you will recall that the July 2012 Process to Accreditation document provides the framework for El Camino College to submit an accreditation eligibility application for the Compton Center. In following the timeline of this document, the Accreditation Steering Committee (ASC) and subcommittee members have spent this past year researching, reviewing and developing a narrative that describes the Compton Center’s status in meeting the Accrediting Commission for Community and Junior Colleges’ (ACCJC) 21 eligibility criteria. Although much progress has been made in many of the 21 eligibility criteria, Compton Center program reviews and SLOs are not yet at a sustainable level. Additionally, the Compton District financial audit for the year ending June 2012 showed improvements in several critical areas. However, there are remaining key items that must be addressed before applying for accreditation eligibility. Therefore, according to the Process to Accreditation timeline for spring 2013, the ASC co-chairs have recommended and the decision has been made to postpone submitting the eligibility application, by one year. This will provide the opportunity for those areas in the 21 eligibility criteria not yet meeting the standards, more time to prepare. It is important for everyone at both El Camino and Compton Center to feel confident that ECC’s application for eligibility will be approved by the ACCJC when we apply. We are very proud of the accomplishments to date, and eager to complete the 21 eligibility criteria for spring 2014. Thank you to everyone who has contributed to this process, and we look forward to your continuing support and participation in this important undertaking. The Process to Accreditation document may be found here. As the spring semester commences, registration continues through February 22 with hands-on assistance available in the Welcome Center. The hours are 8:00 a.m. – 6:30 p.m. M-Th and 8:00 a.m. – 4:30 p.m. on Friday. To help students get the classes they need, 22 sections of high-demand courses were added in December for the spring semester. Classes were added in the following subject areas: Math, English, History, Communications, Child Development, History, Humanities, Spanish, Psychology, Sociology, Theatre Arts, Film, and Ethnic Studies. View the list of added classes here. Counseling Services – Spring 2013 hours: 8:00 a.m. – 6:30 p.m. M-Th, 8:00 a.m. – noon Fridays, walk-in appointments only until Feb. 22. The 2012 spring semester concluded with 265 graduates, 101 certificates awarded and 129 students who transferred to four-year colleges/universities. This semester, I am confident that our dedication to student success will produce even more graduates and a greater transfer rate than last year. Let’s all do our part to help ECC Compton Center scholars achieve their goals! As you enter Compton Center, you will see multiple construction zones – evidence of our Measure CC facilities bond and state capital outlay funds at work. Infrastructure Replacement Phase 1 includes replacement of infrastructure at the south half of Compton Center and the construction of a new Central Plant at the north end. While on-going construction transforms the landscape of the Compton Center grounds, we are excited to have these important improvements in made. ECC Compton Center is offering hands-on registration assistance now through Friday, February 22 in the Welcome Center D-27. Students may register for the spring 2013 semester in one, convenient location where computers will be available, as well as counselors and financial aid representatives. To help students get the classes they need, 22 sections of high-demand courses were added for the Spring 2013 semester. Classes have been added in Math, English, History, Communications, Child Development, History, Humanities, Spanish, Psychology, Sociology, Theatre Arts, Film, and Ethnic Studies. View the list of added classes here. Monday – Thursday: 8:00 a.m. to 6:30 p.m.
Fridays: 8:00 a.m. to 4:30 a.m.
General education course offerings, which will prepare students to transfer to a four-year college or university, as well as 15 different Career and Technical Education programs designed for students looking to start a new career, or upgrade their skill set are offered at ECC Compton Center. Saturday, evening and online classes are also available. 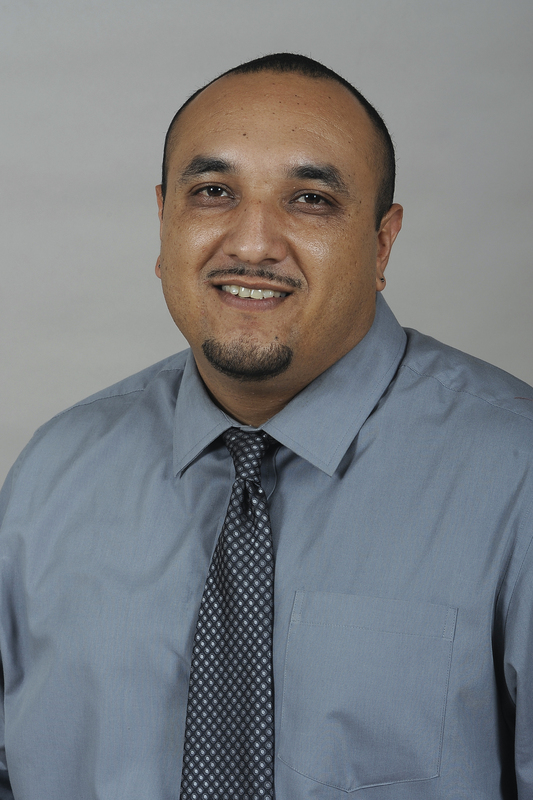 Carlos Ornelas graduated from Lynwood High School in 1997, but it would be years before he eventually enrolled at El Camino College Compton Center in 2011. Once Ornelas, a single father, made the decision to return to school, he jumped in with both feet. Currently, he serves as vice president of the Associated Student Body (ASB) and is looking forward to transferring to University of California at Berkeley; Davis; or Irvine; or UCLA in fall 2013 to continue his studies in English. Ornelas initially began college as an audio engineering major, but quickly realized that changing courses to study to English would fulfill his lifelong passion for reading and writing. Ornelas penned two first-place entries in the latest Voices of Compton literary journal, an annual compilation of students’ written and artistic work. His piece “Underdog” won best poem, and “Children of the Universe” earned him top honors in the spoken word category. ECC Compton Center English Professor Ruth Roach has also invited him to assist in the editing process for the next edition of Voices of Compton. Ornelas has relied heavily on a variety of ECC Compton Center services and resources to ensure his success as a student after taking several years off to work and raise his daughter. Specifically, Extended Opportunity Program and Services (EOP&S) and services at the Transfer Center have made the transfer process manageable for Ornelas every step along the way. Ultimately, Ornelas would like to earn both a bachelor’s and master’s degree in English, and return to ECC Compton Center to teach. Congratulations to the Fall 2012 Nursing Pinning Recipients! ECC Compton Center recently celebrated its fall Nursing Pinning Ceremony. The nursing program prepares students for entry into the health care field as a registered nurse. The program also offers advanced placement opportunities for LVN/LPNs and transfer students. Upon successful completion of the nursing program, graduates are eligible to take the National Council Licensure Examinations for Registered Nurses (NCLEX-RN). 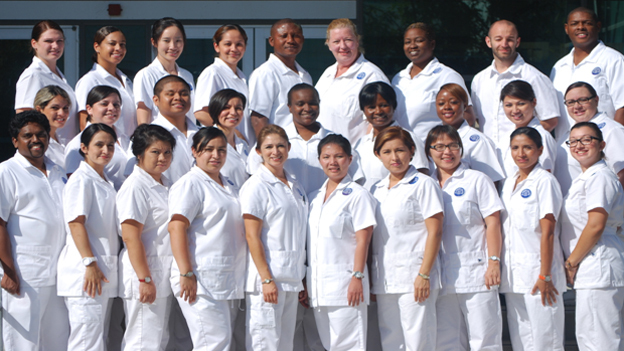 For more information regarding ECC Compton Center’s Nursing Program, please call 310-900-1600, Ext. 2702. In July 2012, a Process to Accreditation document was published that provided the framework for El Camino College to submit an accreditation eligibil­ity application for El Camino College Compton Center. In following the timeline of this document, the Accreditation Steer­ing Committee (ASC) and subcommittee members have spent this past year researching, reviewing and develop­ing a narrative that describes ECC Compton Center’s sta­tus in meeting the Accrediting Commission for Commu­nity and Junior Colleges’ (ACCJC) 21 eligibility criteria. Although much progress has been made in many of the 21 eligibility criteria, ECC Compton Center program reviews and Student Learning Outcomes (SLOs) are not yet at a sustainable level. Additionally, the Compton Community College District financial audit for the year ending June 2012 showed improvements in several critical ar­eas. However, there are remaining key items that must be addressed before applying for accreditation eligibility. Therefore, according to the Process to Accreditation timeline for spring 2013, the ASC co-chairs have rec­ommended and the decision has been made to postpone submitting the eligibility application, by one year. This will provide the opportunity for those areas in the 21 eli­gibility criteria not yet meeting the standards, more time to prepare. It is important for everyone at both El Cami­no and Compton Center to feel confident that ECC’s ap­plication for eligibility will be approved by the ACCJC when we apply. El Camino College and ECC Compton Center are very proud of the accomplishments to date, and eager to complete the 21 eligibility criteria for spring 2014. The Process to Accreditation document may be found here. The Compton Community College District (CCCD) has begun the recruitment process to fill the position of Chief Executive Officer (CEO) for the District. Currently under the direction of the Special Trustee for the Compton Community College District, the CEO serves as the operational officer for the CCCD. The job description for the CCCD CEO may be viewed here. A search committee has been established consisting of members of constituent groups served by the District, and held its first meeting and training in November 2012. Recruited candidates for the CEO position had an application submittal deadline of January 24, 2013. The search committee is conducting an initial paper screening of the applications. In February 2013, the Special Trustee and the Superintendent/President of El Camino Community College District will review the applicant pool to determine if the size of the pool is adequate. Candidate interviews will also take place in February and finalists for the CEO position will be selected. A forum will be held in March 2013 to introduce the finalists, followed by another round of interviews for those candidates. The Special Trustee and the Superintendent/President of El Camino Community College District will select the final candidate and that person will be appointed as the new CEO for the CCCD in April 2013. Questions about the CEO selection process may be directed to: Rachelle Sasser - Dean, Human Resources, 310-900-1600, extension 2400 or rsasser@elcamino.edu. Irene Shandell has been appointed by Compton Community College District (CCCD) Special Trustee Thomas Henry to serve on the Citizens’ Bond Oversight Committee as a community-at-large representative. Shandell will serve a two-year term. As outlined in Education Code Section 15278, the role of the District’s Citizens’ Bond Oversight Committee is to “inform the public concerning the District’s expenditure of revenues received from the sale of bonds authorized by the voters.” Members are appointed for either a one- or two-year term, with a two-term maximum, and they do not receive any compensation or benefits for their service. Shandell is retired from the Internal Revenue Service where she supervised revenue officers. Her responsibilities involved administering, supervising, and performing work related to collecting delinquent taxes, surveying for unreported taxes, and securing delinquent returns. She received a bachelor’s degree in general education from California State University, Dominguez Hills, with a minor in public administration. More information may be found on the Citizens’ Bond Oversight Committee page on the District website: www.district.compton.edu. 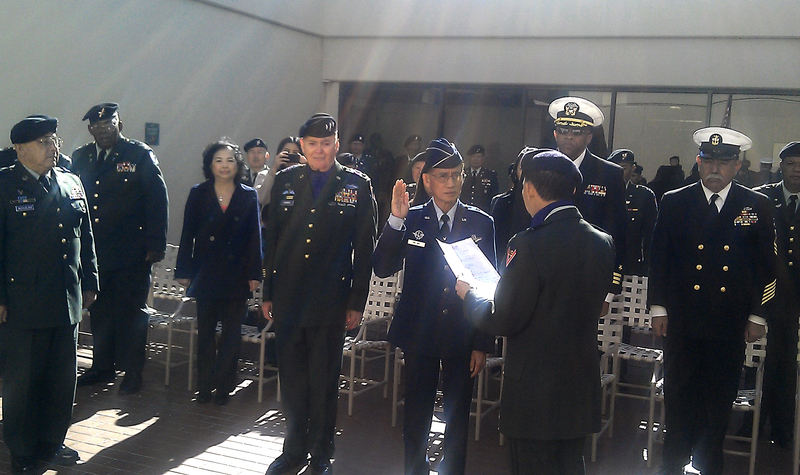 Dr. Alexander My, a counselor for El Camino College Compton Center’s Extended Opportunity Program & Services (EOP&S), was promoted to brigadier general in the U.S. Air Force Volunteer Reserve (USAFVR) on January 12, 2013. With this promotion, he becomes a one-star general for the 9th region, USV-JSC command in Long Beach, Calif.
My has worked in the ECC Compton Center EOP&S program for six years. He started as a counselor in the Career and Technical Education division in 1989, and was the Vocational Technology Counseling chairperson in 2003-2004. In addition to his work at ECC Compton Center, he spends Saturdays working at the Long Beach Veterans Administration Hospital. In his work at ECC Compton College as an EOP&S counselor, My helps low-income and educationally-disadvantaged students achieve their educational goals. The program encourages the enrollment, retention, and transfer of students who are challenged by language, social, economic, and educational disadvantages. The goal of EOP&S is to facilitate the successful completion of goals and objectives at ECC Compton Center for students that may not otherwise have access to valuable resources. My holds a bachelor’s degree in automotive technology management from Southwest Texas State University; a master’s degree in career guidance and vocational counseling from Northeastern Illinois University; and a doctorate in vocational, technical and occupational education from Nova University in Florida. He is a war veteran and Cambodian refugee who came to the United States in 1975. He previously served as a jet/propeller fighter pilot captain in the Cambodian Air Force. He joined the USAFVR in February 2012. 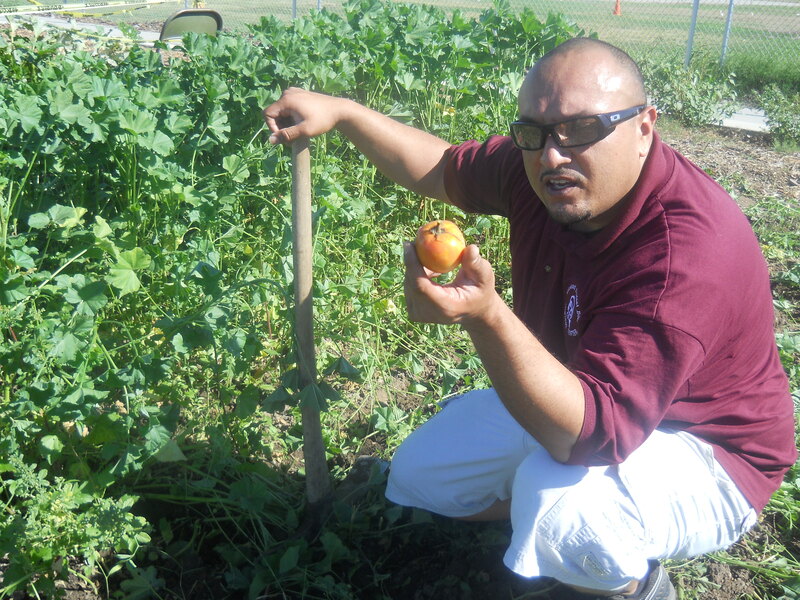 The Associated Student Body (ASB) at El Camino College Compton Center has tapped into the City of Compton’s agricultural roots with the establishment of a community garden, consisting of two sections of a larger garden located at the rear of Walton Middle School. Students are encouraged to volunteer their time to grow fruit and vegetables, as well as further develop their gardening skills. The two garden sections were created in partnership with local nonprofit Community Care, Inc. in an effort to give students a rewarding and challenging volunteer outlet that also provides them with useful horticultural knowledge. ASB members view the community garden as a work in progress since it is still in the developmental stage. Twenty fruit trees have already been donated and planted, but there is room for future expansion. A variety of shrubs, garden vegetables and flowers are included in long-term plans for the garden. The community garden is located at 900 West Greenleaf Avenue (near Wilmington Blvd. ), just down the street from ECC Compton Center. Monday, Wednesday and Friday: 1:00 – 3:00 p.m.
Saturday: 10:00 am – 2:00 p.m. The ASB community garden was initiated to benefit ECC Compton Center students and contribute to the overall sustainability efforts within the community. Students interested in cultivating a green thumb are encouraged to contact the Office of Student Life (R-1) at 310-900-1600, Ext. 2802.